Happy Friday and almost Happy Halloween! This is a little longer post since we will be out next Friday. I'm going to make an effort next weekend to "unplug" As passionate as I am about using technology with our students I really think it is important to make time to unplug from being in front of screens. 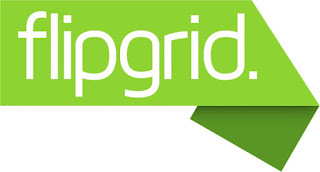 One of my favorite tool for all students in grades K-12 is FlipGrid. FlipGrid is a free tool where students can create video response. Teachers will need to sign up for a free account. Students will not have to ever to sign up. I think this is a valuable tool because students are creating something with technology and sharing their voice. All of these video comments are placed in a Grid and students can view each others comments.